The Mayor of the Sheffield City Region Dan Jarvis has launched a search for the city’s first ever active travel commissioner. 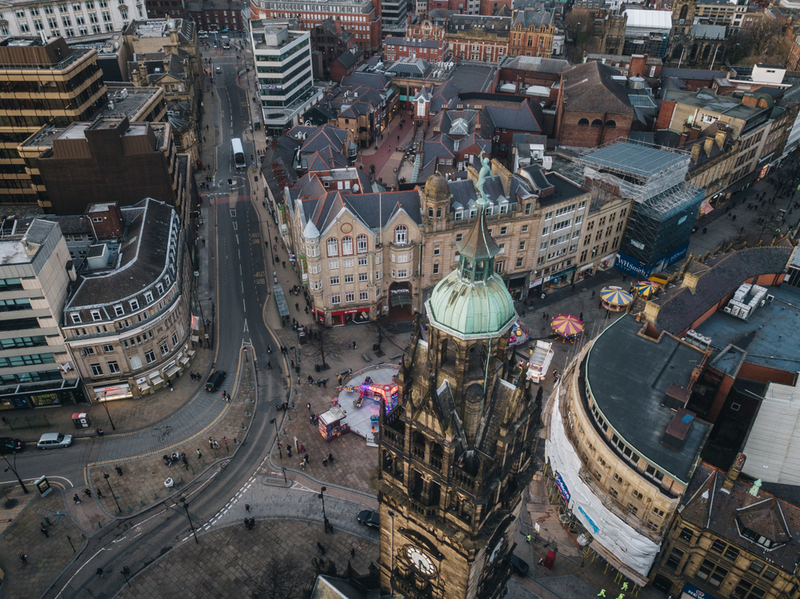 The position, open to individuals and organisations, was announced a fortnight ago as Sheffield looks to boost its number of citizens walking, cycling and using public transport. The commissioner will be an expert on modes of active travel and will work closely with Jarvis to fit the city’s detailed transport strategy. Mayor Jarvis said: ‘By prioritising active travel, we can improve people’s health, cut carbon emissions and reduce congestion. ‘Action is already being taken; but I’m stepping up efforts by seeking an Active Travel Commissioner to take the lead on this important work. Last December Sheffield launched its Vision for Transport which outlines its strategy to increase active travel in the city over the next 15 years. The city region has also shortlisted for funding from the government’s Transforming Cities fund for four active travel schemes in Barnsley, Doncaster, Rotherham and Sheffield. The proposed works include the creation of cycle lanes, new cycle and pedestrian crossings, and a series of cycling and walking improvement works. The new active travel commissioner will work with local authorities, community groups, health professionals and national government and will oversee all aspects of the above schemes, should the city region’s funding bid be successful. Sheffield City Region has bid for £9.5m for the government for six schemes overall, the total value of which is £15m. The city region has said that the schemes will enable people to choose more affordable, greener and healthier ways of travelling across the region. British Cycling policy manager Nick Chamberlin said: ‘As we have already seen in places like London and Manchester, active travel commissioners play an absolutely vital role in spearheading change and mobilising support for cycling and walking schemes. ‘We have been really encouraged by Mayor Dan Jarvis’s commitment to making it easier for more people to walk and cycle journeys that they would otherwise make by car. Sheffield City Region’s transport strategy comes as the city faces significant growth over the coming years. It is currently projected that by 2026, there will be an additional 500,000 journeys made across the region’s transport system. Sheffield City Council is currently considering implementing a Class C charging Clean Air Zone.